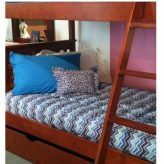 The ever popular blue brown bunk bed hugger called “Max” is available in a dot or stripe top fabric. 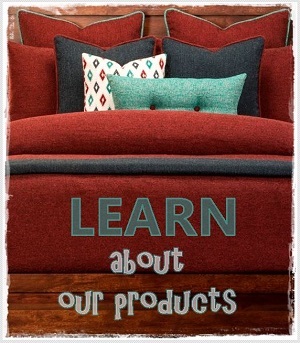 You select the top fabric, the reverse solid color, and the side drop to match your mattress depth. The hugger will be made with two tailored corners at the foot of the bed so it “hugs” the mattress. Fitted bedding gives a clean, modern look to a bedroom. The key is to get it to fit properly by measuring your mattress before ordering. 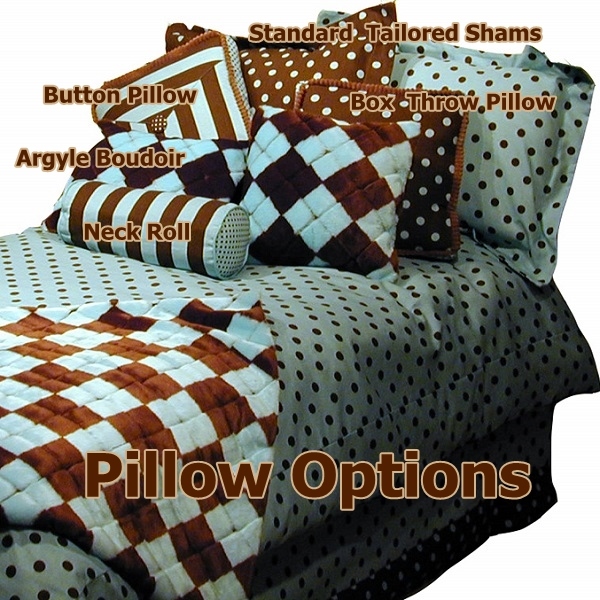 This hugger is sold alone – shams and fancy pillows shown are not included but may be added to get the total “Max” look! 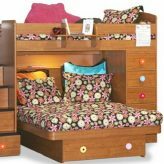 Blue Brown Bunk Bed Hugger – Mix & match this popular collection in your bunk room! Max is the ever popular blue brown bunk bed hugger. Whether it’s stripe bedding or dot bedding, you have it to mix and match in this collection. This hugger is made with two tailored corners at the foot of the bed so the comforter “hugs” the mattress and a side drop to match your mattress depth. You select the top fabric and the reverse solid color – this hugger is REVERSIBLE! 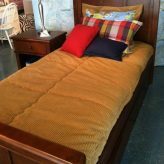 Huggers are so great on any bed – platform beds, RV beds, loft beds, captains beds, and standard beds. 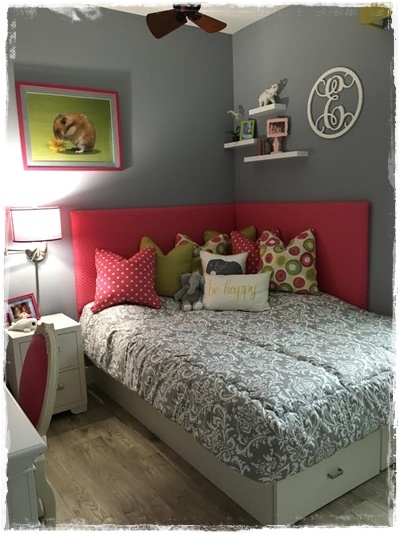 They can even be used with a box spring and mattress – the key is to get the side drop to cover the mattresses so it might be a 16-18″ drop to cover two mattresses but it really shows off a bed with a foot board. 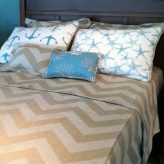 The possibilities are endless with this amazing bedding! Consider adding inseparable attached sheets. California Kids bedding for bunk beds is made of 100% cotton or mostly cotton. It is machine washable, and proudly made in the USA. Shipping is usually 2-3 weeks.